Well, that didn’t take long. After releasing worldwide yesterday, the mythic Emerald Nightmare raid that currently makes up the final part of Legion’s endgame has been cleared. A single russian guild, Exorsus (or Экзорсус if you prefer Cyrillic), managed to down the mythic version of the final boss, Xavius, after only a couple of hours. 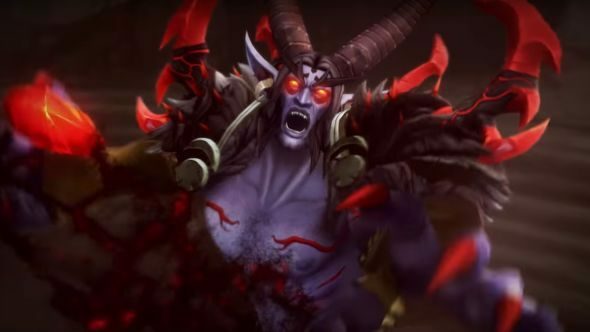 The other top guilds in the world – 10 in all – were stuck on the previous boss, Cenarius, at the time but have since started to beat it and Xavius too. Both Cenarius and the previous roadblock Il’gynoth took Exorsus many more hours to beat than the grand finalé. Now that’s done with, have a look forward at what awaits in WoW patch 7.1. It’s a fairly speedy clear, with progression races such as this usually taking a little longer to complete – generally one later boss will hold off the majority of top guilds for at least a couple of weeks as they continue to build up gear. In Legion, gear is a little easier to come by due to the addition of the Mythic+ dungeon difficulty that rewards high-level loot on a more repeatable basis than previous, plus the addition of multiple Legendary items that push player power above the norm and the Titanforging mechanic that allows loot to randomly be of much higher power than normal. That said, it’s not like Blizzard weren’t aware of those changes going in, and they could have tuned encounters accordingly. It doesn’t actually affect the other 99.999996% of the player base that’s unlikely to see Mythic Xavius for a good couple of months, but tracking the best players and how long it takes them to ‘beat’ a new expansion is something the community enjoys getting involved with. There’s also the natural fantasy of being first, quickly dispelled when things are cleared less than a day after release.